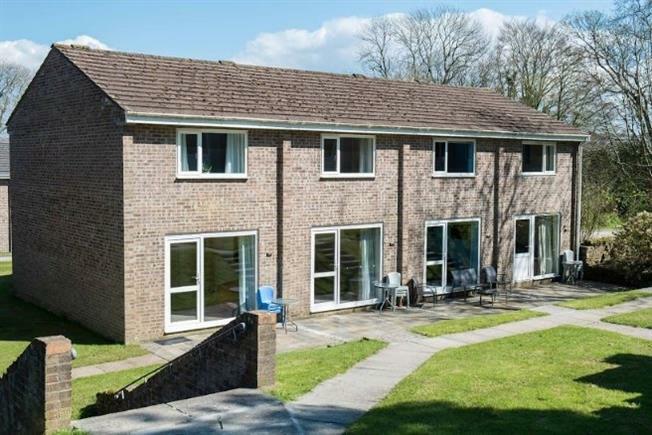 This modernised two double bedroom terraced holiday house, with shower/cloakroom and open plan lounge/kitchen dining room, has electric wet central heating to panelled radiators and uPVC double glazing. Viewing is recommended - Chain free. Incorporating range of modern fitted kitchen units comprising wall, base and draws, with roll top work surfaces over, stainless steel sink and drainer with mixer tap over. Electric cooker with hob, refrigerator. UPVC double glazed window to rear. Stairs rising to first floor landing. Doors into two double bedrooms and shower/cloakroom. Modern suite comprising shower cubicle with electric shower over, low level flush WC and wash hand basin. Extractor fan. Electrically heated towel rail. UPVC double glazed window to rear. Radiator. Built in wardrobe and cupboard housing Aztec electric wet central heating system.